George Eliot's Middlemarch examines the busy life of a manufacturing town in the north of England at the beginning of the Industrial Revolution. A great number of characters, storylines, happy and unhappy marriages, births, deaths, hidden sins, financial struggles, political movements, and societal changes fill its 838 pages. I generally enjoy these massive, complicated stories of societies seen through the eyes of several families when they are told with humor and insight, as Middlemarch is. Two characters' stories get the most thorough treatment, and they seem almost to be male and female foils of each other. Dorothea Brooke is an idealistic but naive young woman of good family, and Tertius Lydgate is Middlemarch's new doctor, ambitious to break new scientific ground in a research hospital. They share some obvious similarities--both are careless of others' opinion of them, and filled with a desire to improve the world. Both also make disastrous marriages which thwart their ambitions to do great good. But one ultimately finds a satisfying outlet for those ambitions, while the other settles for a severely limited horizon. What I couldn't quite get a handle on with Middlemarch, was the book's attitude toward women. The author/narrator frequently makes asides on the weakness of women and the submissiveness of ideal wives. I read these as tongue-in-cheek, coming from a female author. And Dorothea has an interest in architecture--she draws plans herself for cottages for the poor. But no positively portrayed female character, even Dorothea, seems to have, or want to have, opinions or interests or desires other than their husbands'. They regard it as their highest good to subordinate their very thoughts to his, and their duty to suppress any thoughts or desires which conflict with his. The only character to not only think, but act, contrary to her husband's wishes is the monstrously selfish Rosamond. But perhaps we shouldn't expect perfect consistency from authors. 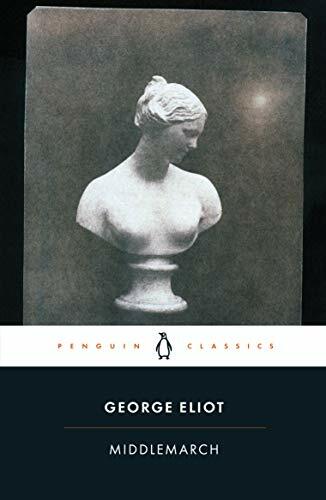 Certainly the psychological insights of this author toward her characters in general are wonderful and one of the great pleasures of reading Middlemarch. You pose an interesting question regarding the women in Middlemarch and Dorothea in particular. While she is one of my favorite heroines I am at a loss to understand her devotion to that cold spiteful man, Casaubon, given her otherwise intelligent behavior. The vision of her in tears while on her honeymoon in Rome is one that I will never forget. Dorothea reminds me of the heroine of The Tenant of Wildfell Hall--a woman who is absolutely saintly in forbearance with her alcoholic husband. But in that book, the woman was more of a device than a character. She needed to be saintly in order for readers to accept the message of the book--that women deserve self-determination even to the point of leaving a marriage; a message that was presumably rather shocking at the time. Dorothea, however, doesn't seem to me to be the mouthpiece for an authorial agenda. I couldn't quite decide how the author/narrator meant for me to feel about Dorothea's treatment of her first husband. I had a difficult time getting throught this book. I needed een audible version playing in my earphones and the book in front of me. I guess I just needed a jumpstart because I did enjoy the read. Have you ever needed a jumpstart as I did to get into a book? I don't usually get as far as jumpstarts, because I usually don't continue with a book I don't like the beginning of. The only exception I can think of is The Book Thief. I don't generally care for "gimmicks" such as Death as the narrator, but I stuck with it until it sucked me in, then I couldn't put it down.